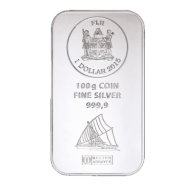 Fiji coin bars are manufactured by Argor Heraeus on behalf of the government of Fiji. 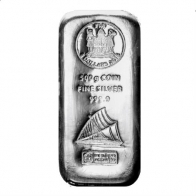 These bars are unique in that they have a legal tender value, and therefore have VAT / tax advantages in Europe over traditional silver bullion bars. 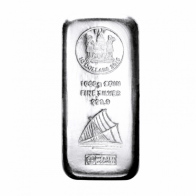 Fiji bars are available in a range of sizes, from 100 grams to 1 kilogram. Bars are available for VAT-exempt Swiss storage or for delivery worldwide.